The oldest portrait statues in Glasgow, they commemorate the lawyers and landowners George Hutcheson (c. 1550-1639), the founder of Hutchesons� Hospital, 1639, and his brother Thomas (c. 1589-1641), who founded Hutchesons� Grammar School in 1641. The statues were carved in 1655 and 1659, and originally stood in niches on the north side of the tower of the first Hutchesons� Hospital (built 1641-50), which stood in the Trongate until c. 1800. Carved in freestone from Loudon in Ayrshire, which had been purchased as early as 1643 for �99 Scots, they were originally brightly and colourfully painted, with flesh tones and vividly coloured costumes, and were separated by a large tablet with a Latin inscription (now lost) recording the brother�s philanthropy. Positioned at the back of the building, they were rarely seen by the general public. In 1795, the statues were removed and placed in storage in the Merchants� House after the building and its garden had been earmarked for the development of Hutchesons� Street (their removal cost �2.3.6d Scots). They were repaired and provided with new pedestals and inscriptions by the architect William Reid in 1805-6, and placed on the fa�ade of the new Hutchesons� Hospital (now Hutchesons� Hall) in 1824, in niches which had been designed for them by David Hamilton , the building�s architect, in 1802-5. It seems, however, that the statues were placed on the wrong pedestals. The inscription on George Hutcheson�s pedestal is also wrong, with the death date given as 1693, instead of 1639. Portraits of the brothers by Anthony Van Dyke, c. 1600s, (George Hutcheson) and George Scougall, 1717, (Thomas, published in Hill), together with stained glass and plaster portraits in the building's Function Hall, confirm the errors. Interest in the statues� history was rekindled in the early 1900s when the subject of the type of stone used for them was debated by the Old Glasgow Club. 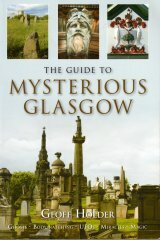 According to some, the original documentation recorded clearly that they had been carved from marble purchased in London, whilst others maintained that the mixture of old Scots and English in the text, together with the unclear handwriting of its author, had confused the issue in its use of the old Scots word for freestone: Marlar, from the Latin word for marble: Marmor, and the reading of Loudonne (sic) as London. Further sculptural tributes to the brothers in Hutchesons� Hall are the bronze busts by Archibald Macfarlane Shannan , 1912-13, copies of which are in the present Hutchesons� Grammar School.